Looks smart, very reliable. You may need to consult the manual occasionally, when using the auto cook features. The Bosch HMT75M461B offers essentially the same specification as the HMT75M451B model, but is finished in black instead of silver. 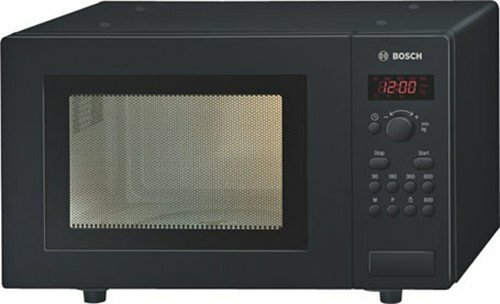 As a solo microwave it offers neither a grill nor convection oven - however for the reasonable price tag it offers a host of features including auto defrost, auto weight cook settings, and 5 different power levels. The turntable measures 24.5cm, which should accommodate the majority of large dinner plates. 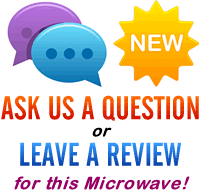 Overall this microwave measures 46.2cm by 32cm by 28cm. The 60 minute Bosch timing system, clock, and power setting are all displayed on a clear digital LED display, providing an easy way of viewing proceedings. Controls and power settings are very well labelled, which is a refreshing change. In fact the only minor grip is that when using the auto defrost feature, you may have to consult the manual to see which food type corresponds to which number setting on the microwave. Please note that the HMT75M461B is by no means a large microwave - however it is well finished, and offers a beautifully compact yet effective cooking system, ideal for those users who don't have much room in their kitchen.